Introduced in 1968, the Mehari was a new multi-purpose, all terrain pick-up joining Citroën’s family of light, flat twin vehicles. 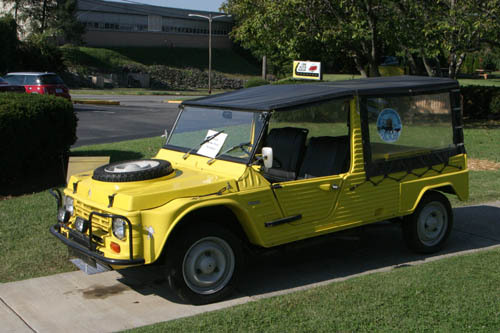 The Mehari was originally designed with a plastic body which prevented corrosion problems and resisted impact. Roughly 145,000 Meharis were produced from 1968-87, and in 1979, the 4x4, which you see here, was introduced. A total of 1,313 examples of the 4x4 were built when sales were suspended after only three years. 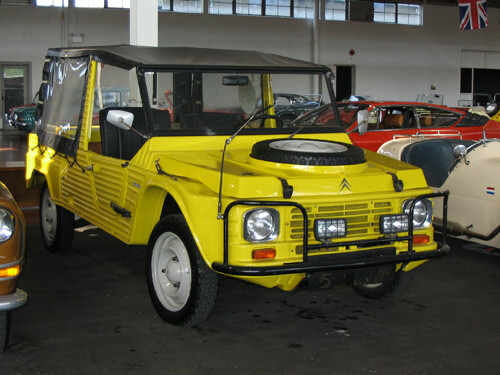 The reason for the stoppage may have been the large order for 5,000 Mehari 4x4s placed by the French armed forces in 1981. The Mehari was a practical, economical fun car in the newly emerging leisure vehicle and beach buggy market.